Nestled high in the Sierras on the border of California and Nevada lies Zephyr Cove on the shores of Lake Tahoe. 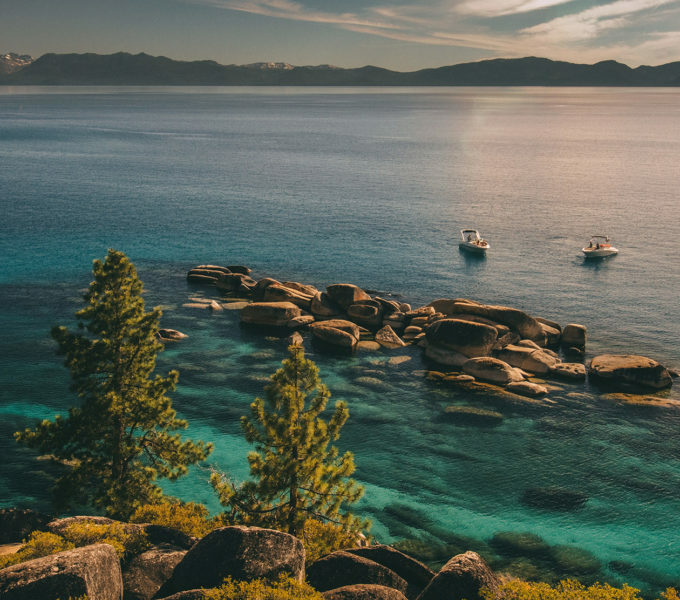 The pristine, high-visibility, famously “blue” waters of Lake Tahoe serve as a breathtaking backdrop to swimming, boating, and hiking in crisp pine-scented air. In the winter, Lake Tahoe transforms into a snowmobiling and skiing holy grail, so you can shred some of the best “gnar” (as the kids say) with some of the best views found anywhere in the world.